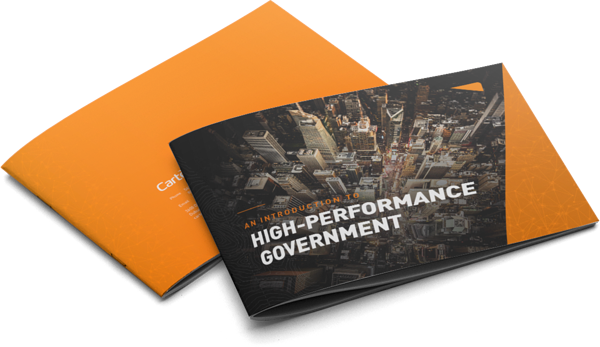 Most high-performance government organizations aspire to go paperless. But, more often than not, the goal of completely abandoning paper-reliant processes is easier said than done. This is the story of how Ascension Parish, Louisiana used strategic planning and Cartegraph's work order management technology to positively transform its operations. Like many local government organizations, Ascension Parish, Louisiana has always strove to make the most out of very limited resources. However, in 2012, after adding a near-failing water system to its list of municipal asset management responsibilities, the parish found itself overwhelmed. Limited time and personnel, along with disjointed recordkeeping and a backlog of paperwork, was preventing the organization from effectively managing its ever-expanding inventory of work and asset data. “We struggled to keep an accurate view of project statuses. Paperwork would never get to the right place. Efforts were often repeated. It was a never-ending circle that was amplified by the challenge of being understaffed,” said Tommy Martinez, Parish President. Making the most of the parish’s limited technology and resources, Utilities Director Brian Martinez implemented new guidelines and processes to bring greater visibility to the department’s day-to-day work orders and asset management operations. However, the advanced logistics of managing the multi-purpose, multi-location utility operation soon rendered the upgrades insufficient. “The technology allows a single input of data from any location, allowing anyone to see the work needed or completed." “When I learned about Cartegraph and its wide array of work and asset management capabilities, I immediately began to speculate about its potential to modernize and improve our Utility Department operations,” remembered Brian Martinez. He and his fellow parish stakeholders carefully weighed the timing and feasibility of adopting a new water utility asset management system before ultimately deciding to implement Cartegraph. Now, Martinez and his eight-person department have the resources they need to eliminate redundant efforts, streamline operations, and make well-informed decisions while working in the field. And because Cartegraph integrates and communicates so seamlessly with the parish’s ArcGIS platform, Martinez and his team are equipped to quickly and accurately determine the physical location of water meters, businesses and residences, assets, and other integral components of its operations. Centralization of information. With online access, team members from multiple departments can access tasks and initiatives in progress. Cartegraph serves as a communication tool to document conversations and workflow histories. A mobile device management strategy. With Cartegraph’s user-friendly digital interface, Martinez and his team have eliminated paper work orders. Supervisors assign tasks to field professionals digitally. The crew uses Cartegraph for iPad to stay organized and complete their work throughout the day. Pattern recognition. Through Cartegraph’s documentation tools, Martinez and his team can better identify patterns and anomalies. With this capability, problems are more preventable. Data accuracy. Martinez explains that Cartegraph has eliminated the opportunity for data errors. He has pre-programmed the software with meter numbers, which field crews can verify and jump in to quickly correct. Ready to become more effective and efficient like Ascension Parish?